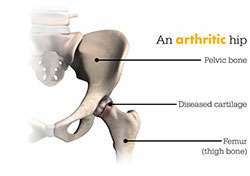 Robotic assisted hip surgery is a novel alternative to the conventional surgical procedures. It employs robotic technology to assist the surgeon during the surgical procedure. 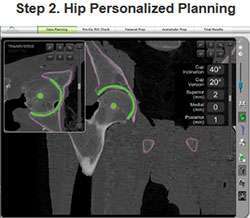 Robotic assisted hip surgery is commonly employed for prosthetic implantation in the management of degenerative conditions of the hip. It enhances the accuracy and precision in the alignment and placement of the implant. 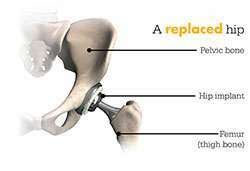 This procedure may be used for total or partial hip replacement. It is beneficial in patients with pain while bearing weight on the affected joint, pain or stiffness in the hip while walking or performing other activities, and also in patients not responding to a conservative line of management. 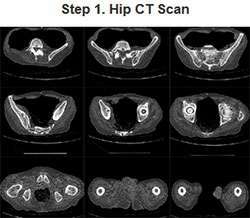 Robotic assisted hip surgery utilizes a CT scan of the patient’s hip to generate a 3-D model of their pelvis and femur. This aids the surgeon in planning the surgery. During surgery, the robotic software provides dynamic information for the surgeon to enhance accuracy of the procedure. Such real-time information assists the surgeon in precise placement of the implant, which can be difficult to achieve with traditional surgical techniques.